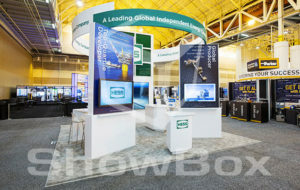 As HESS exits downstream businesses and completes its multi-year transformation to a pure play exploration and production (E & P) company in 2014, it is taking every opportunity to educate the market on its new position. 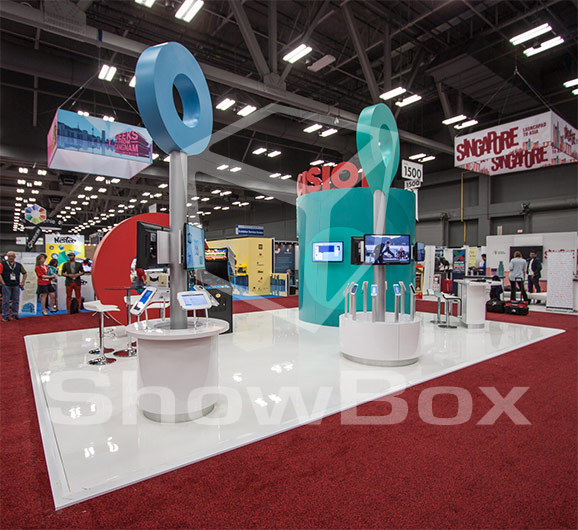 In preparation for Subsea Tieback Forum and Expo 2015, HESS partnered with ShowBox Exhibits to create a custom booth with ample knowledge sharing space. Using a combination of metal extrusion and custom wood and laminate, ShowBox created a clean and simple 20×20 exhibit booth for HESS. 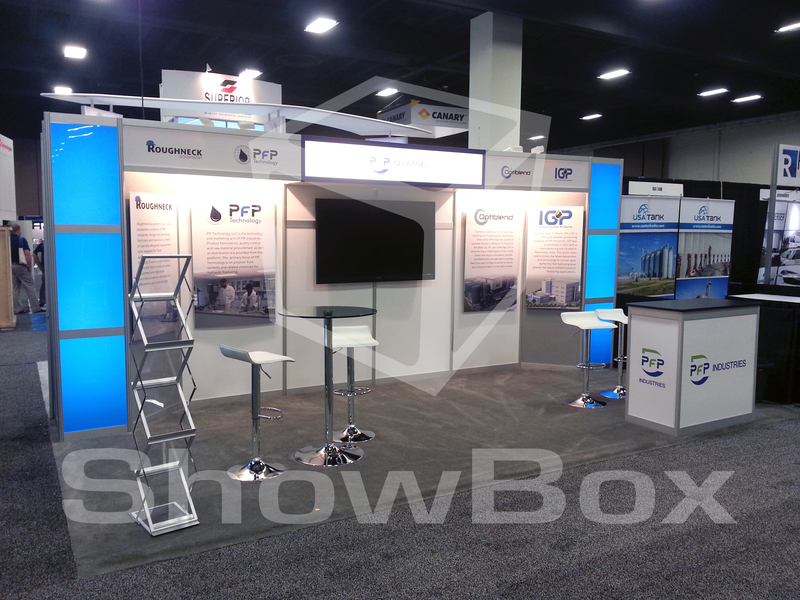 The presentation space served as the focal point of the booth that included four touch-screen TVs mounted on a large wall along with bar tables and stools for seating. 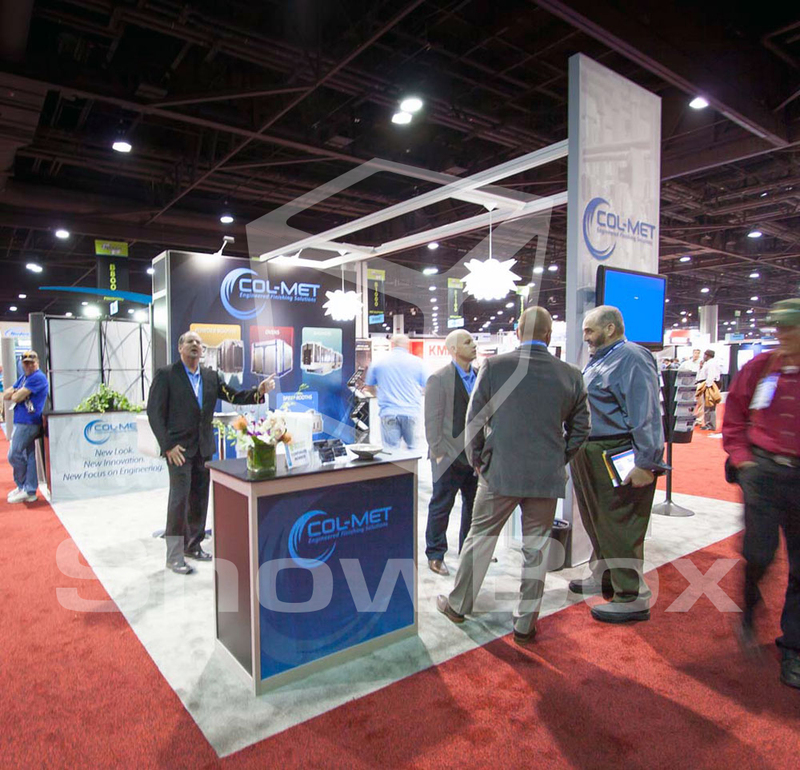 Two island countertops not only provided the desired storage space but also allowed for casual meeting space. 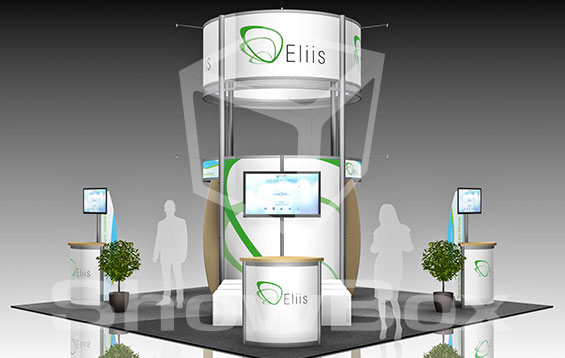 At the height of the booth, a large fabric radius header circled atop two large graphic columns. 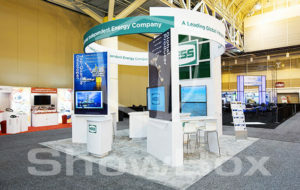 Hess-green Plexiglass was used to create a window-like backdrop for the HESS logo. 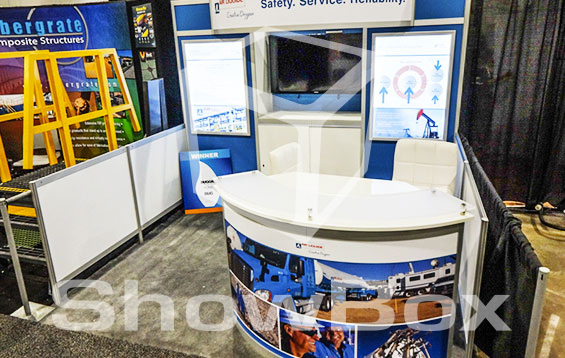 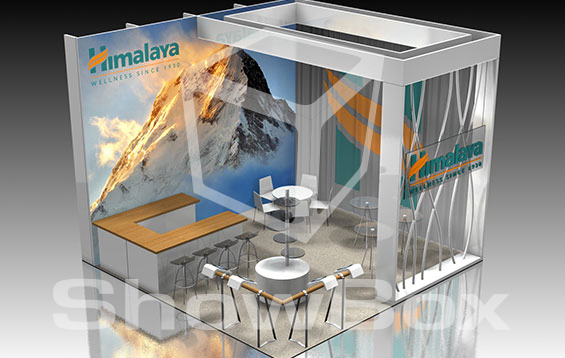 Sometimes clients will come to us with a design already at hand but HESS relied on our savvy to design a booth from scratch. 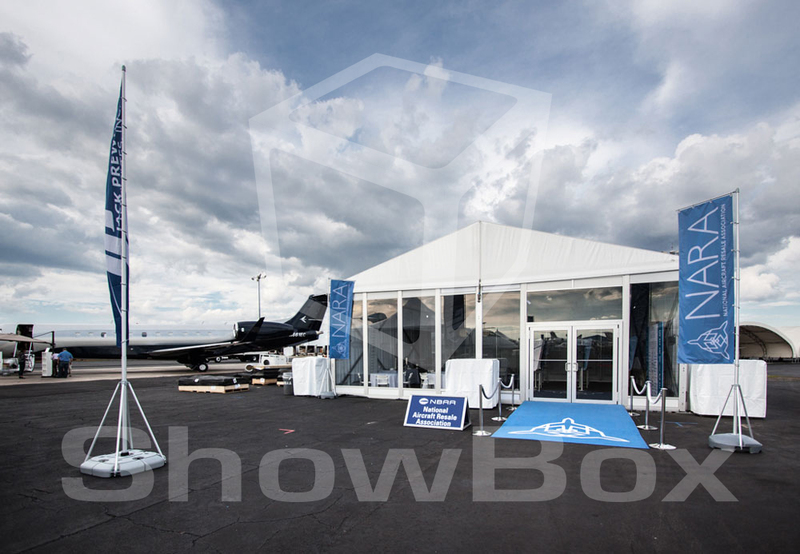 ShowBox provides everything from exhibit design to logistics and set up.